One of my favorite things we did in Japan was to visit Arashiyama. 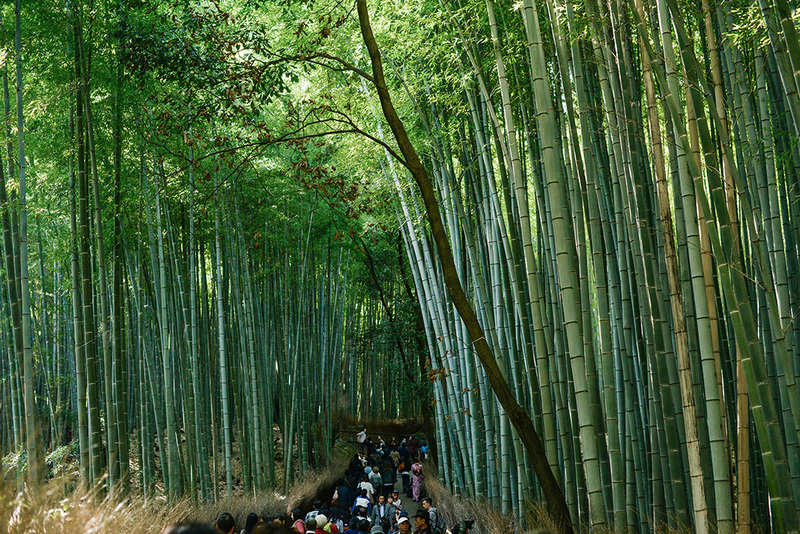 Just a short 45 minute train ride from Kyoto, Arashiyama packs a lot of fun into one easy day trip! Here you’ll find the Bamboo Forest, Monkey Park and a bunch of stunning gardens and temples. You’ll also find a pretty sizeable river and cute little town to explore, depending on how much time you have! We didn’t have time to participate, but there were a bunch of people out on the water in paddle boats, watching the various performances happening on boats by locals. 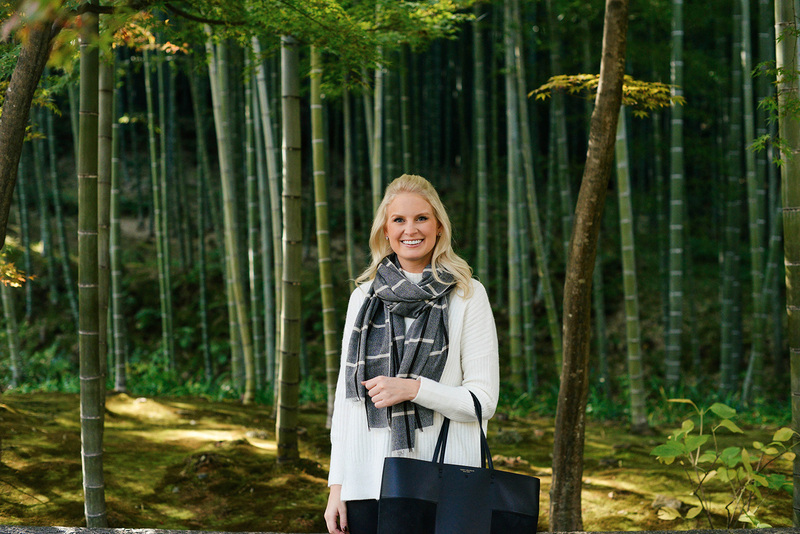 Our first stop in Arashiyama was to the Bamboo Forest. It’s definitely a tourist attraction – by the time we got there at 11, the crowds had arrived and it became difficult to take any kind of picture without other people in them, but it was worth the wait! On our way through the Bamboo Forest walking path, we stumbled upon the Tenryuji Temple and Gardens and decided to pop in. This was really where the magic happened. Brilliant fall color was all over the grounds and we took TONS of photos! We spent probably two hours walking through this particular garden, before taking a break for lunch. 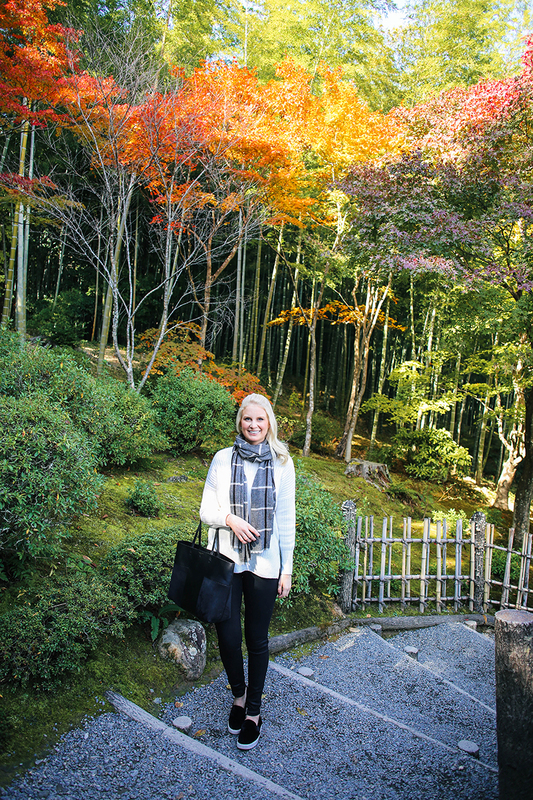 After a quick bite, we made our way back through the walking path to a second garden and tea house, where we witnessed even more incredible autumn scenes and views from above. I actually have a whole other blog post dedicated to the fall foliage we encountered that day – there were just too many to include here, so stay tuned for those! 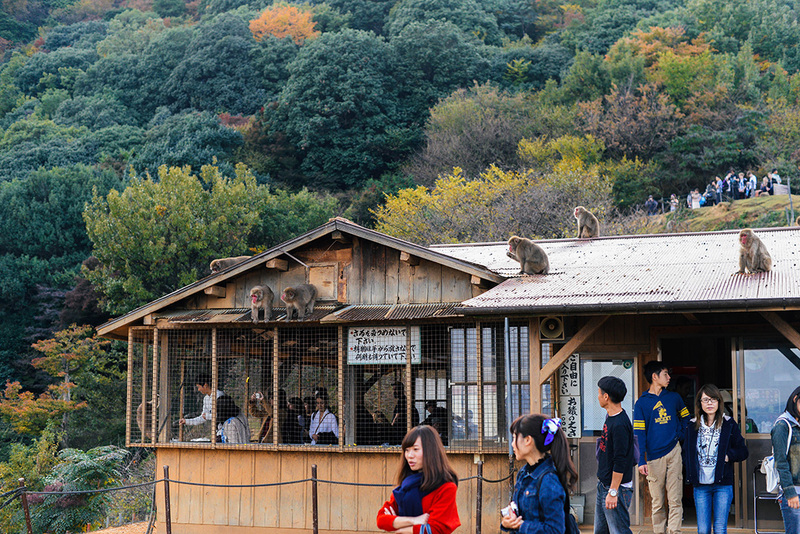 Our final activity on the docket was to visit the Monkey Park. Little did we know, it was a legitimate hike going up the the viewing spot. Twenty minutes, all uphill and we were sweating by the end of it. 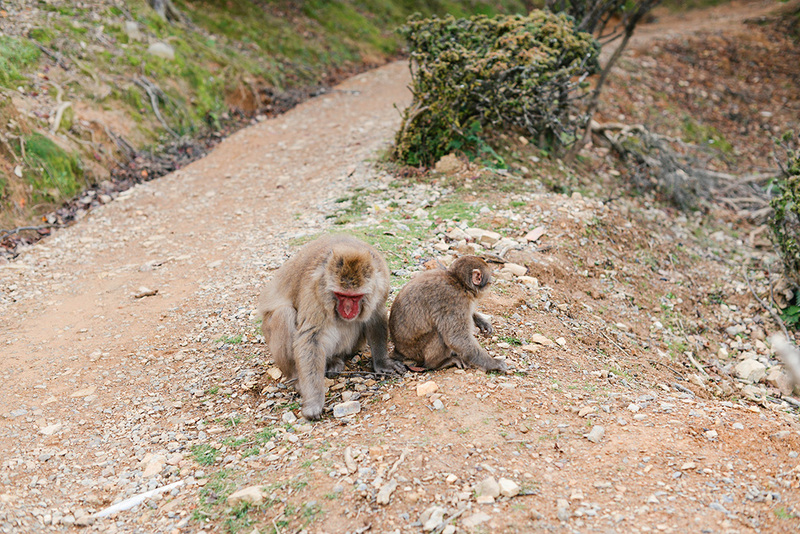 If you plan to visit the Monkey Park in Arashiyama, do it last (and wear athletic shoes), so you don’t feel sweaty and gross the entire day! While the intensity of the hike was sort of a surprise, it was worth it. 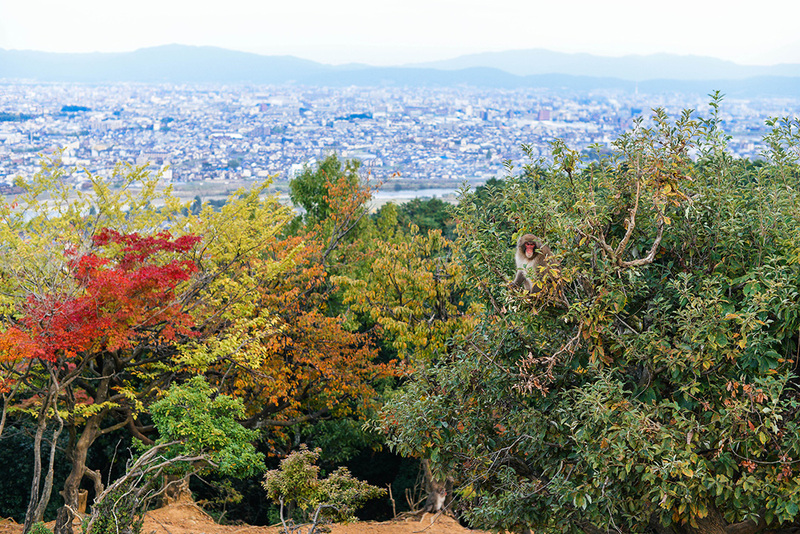 Sure, the monkeys are cute, but the city views from the top of the mountain are incredible! We also captured a bunch of gorgeous changing leaves on our way back down the mountain. Click here to check out all of my travel content from Japan so far, and check back for more photos and city guides soon! I guess I should maybe tell you about my outfit too… This sweater is SO soft, and surprisingly under $100. Unfortunately this winter white shade is sold out, but it comes in classic grey and basic black too. I love the mock neck style neckline and how it’s a little bit longer in the back – the ideal style for pairing with leggings this time of year! These Vince sneakers (same style I have, but in leather – mine are velvet) kept me sane on this trip – when I was wearing in my new pair of ACNE boots on the first day, I ended up with a couple blisters and fortunately these sneakers provided some relief. After a few days I was able to wear my boots without issue, but it was a rough couple days at first! 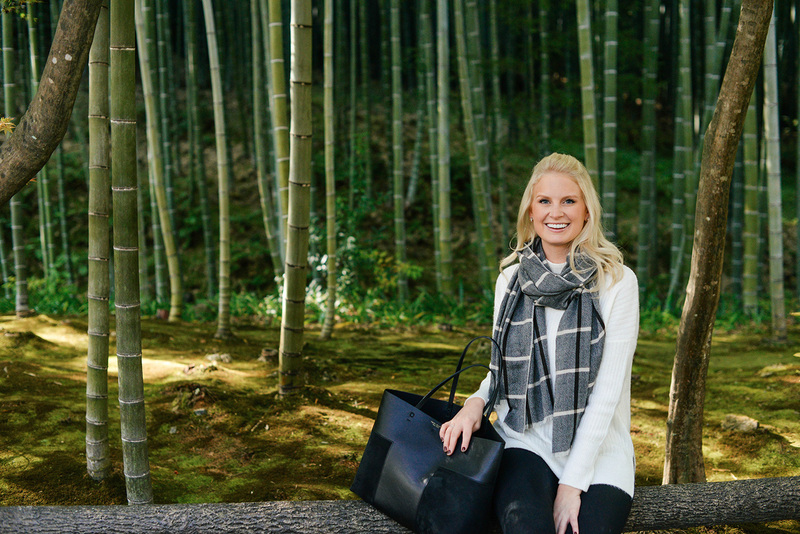 Finally, this scarf I featured in this post with my mom is now finally available to shop! 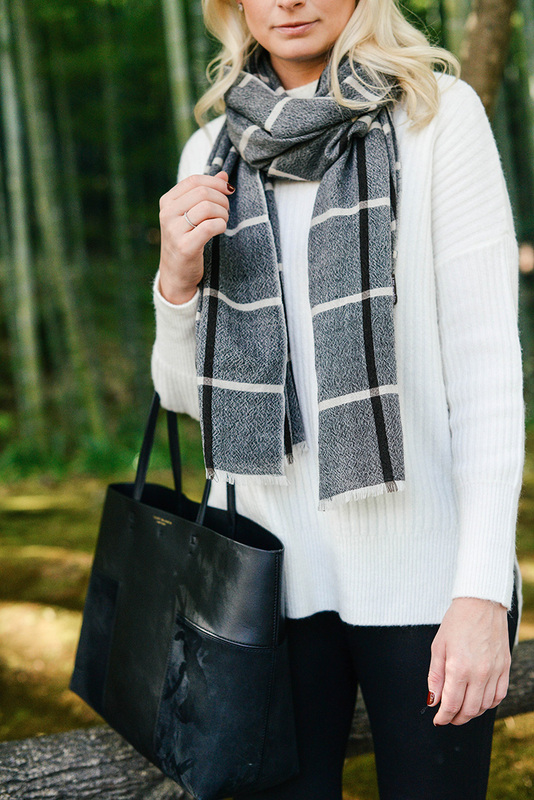 This scarf was a great added layer, if only to provide some texture and add some interest to my easy outfit – it actually wasn’t super cold that day. I love that it features three of my favorite winter colors – so wearable with everything in my closet! These pictures are so amazing, now I am dying to visit Japan and Tokyo. Awesome photos! I’d love to go to Japan someday. It must have been an incredible trip! How gorgeous! 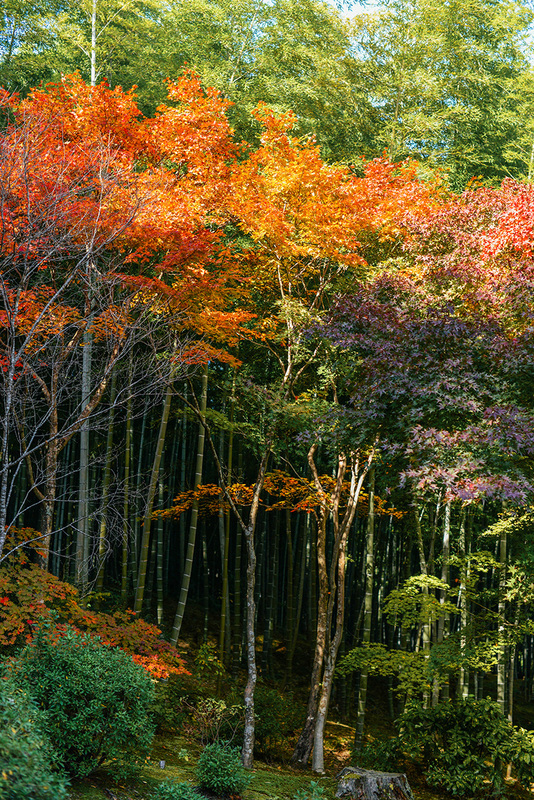 The bamboo mixed with the changing fall trees is amazing! Also, loving that scarf!! 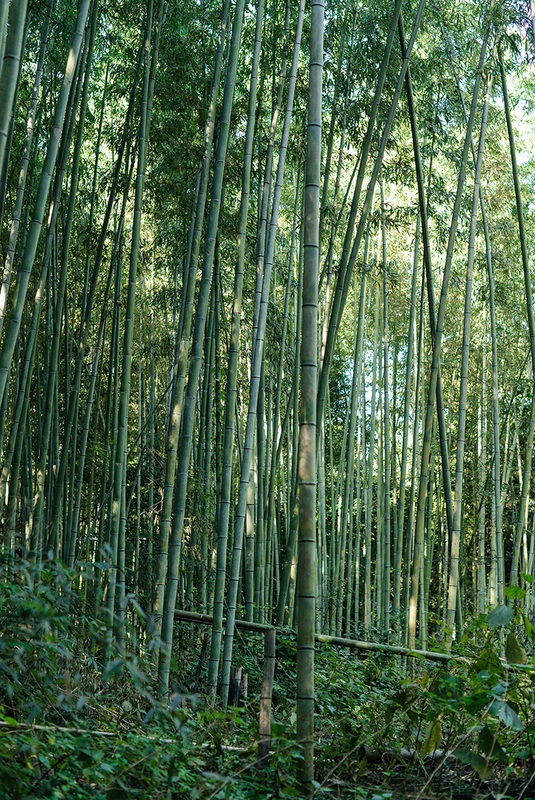 The bamboo forest is amazing – it’s breathtaking how small you feel among it! The bamboo forest is amazing!! I love the change in the color of the leaves! OMG! The monkeys!! So fun to see :) Such a beautiful spot! So cool! I’d love to have a visit with the monkeys! Looks like you had (are having?) an amazing trip! What an amazing site to behold! Beautiful look! Amazing photos! Love it! Such cool photos!! Looks really amazing.